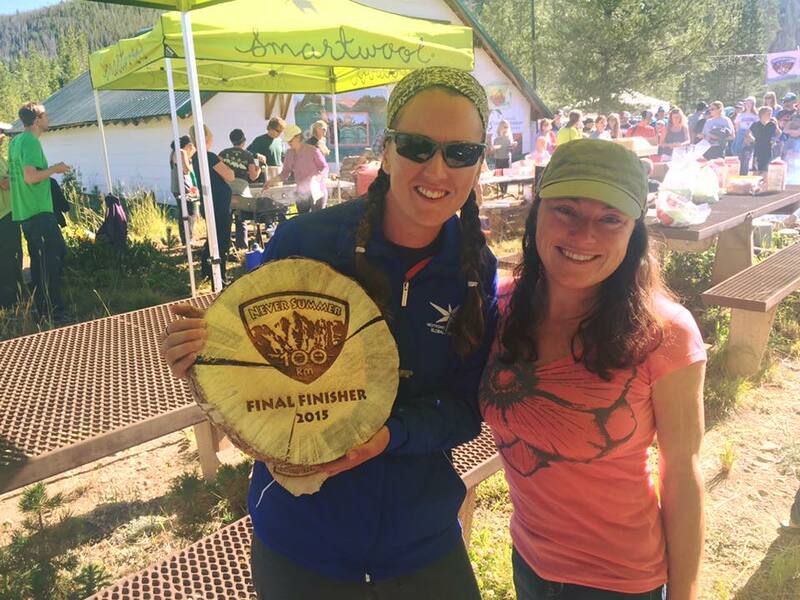 Spoiler Alert: The Never Summer 100K was beyond a doubt the hardest day I’ve had in the mountains, and I’m so freaking proud of myself I can’t even hold out until the end of this post to tell you I finished. I FINISHED! At the award ceremony with Renee, friend and pacer, and the Final Finisher Award. 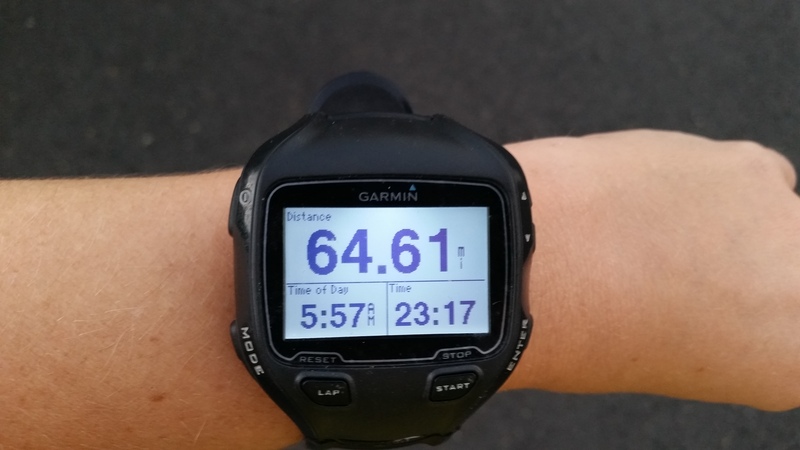 Until this race, the furthest I had ever “run” (or run-hiked, to be more accurate) was 53 miles. To put it in context, that race was so much easier it only took me 12 hours and 41 minutes. 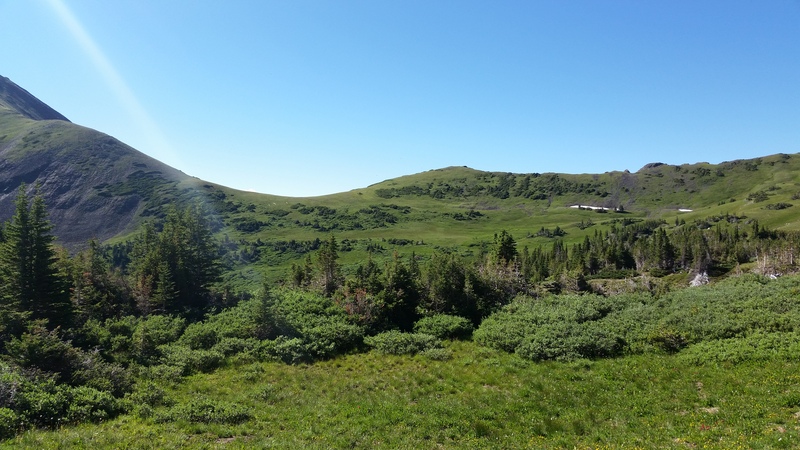 But this course had far more elevation gain, and at an average altitude of 10,000 feet, oxygen-deprivation was a factor. The terrain was even more of an issue. 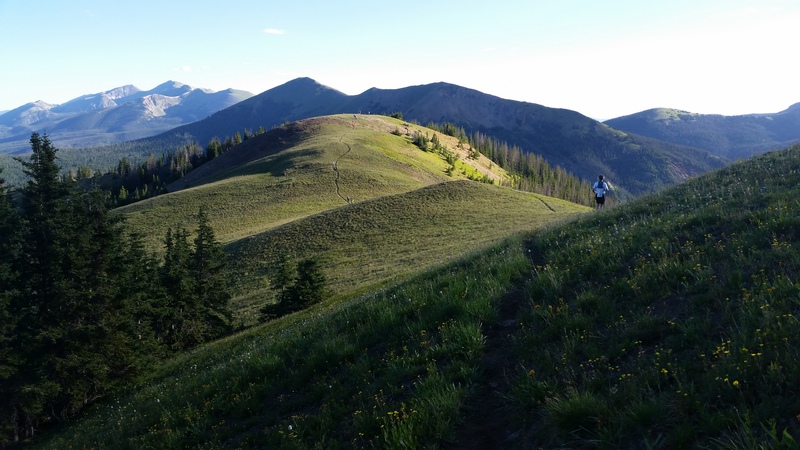 The trails were so technical with many, many downed trees and alpine ridge-lines that even much of the flatter and downhill stretches were next to impossible to run. Plus the mud! Miles of mud. Organization is one of my fortes. 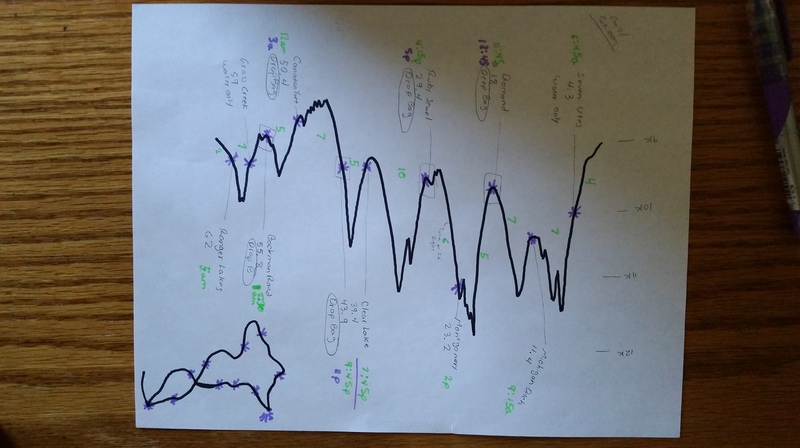 I kept this cheat sheet in my pocket so I knew when to expect the aid stations and big climbs. 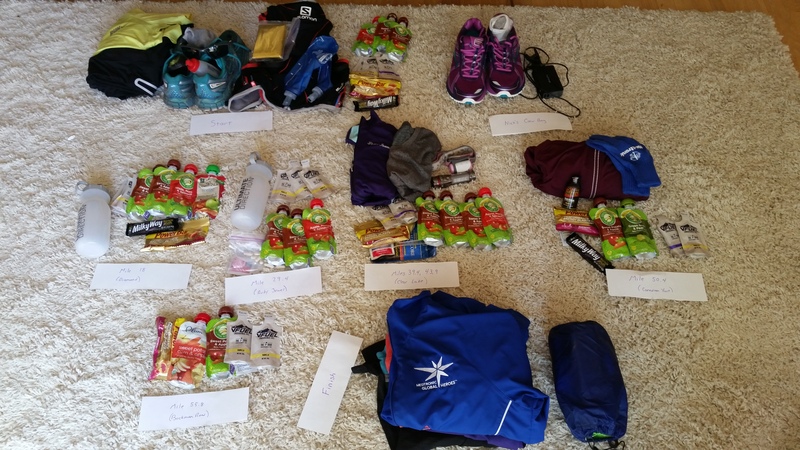 A few days before the race, I spread out the gear and food I would need and packed them in bags. Volunteers from the race distributed those drop bags to the corresponding aid stations, so that way I had my extra gear (warmer clothes, headlamp, etc) and food just when I needed them. 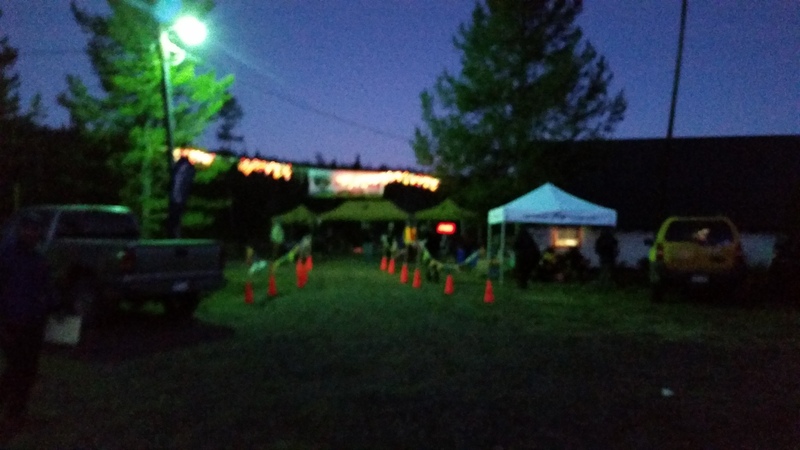 Because of my dietary restrictions (partly related to what aggravates my headache), I had to rely mostly on my own food instead of food provided at the aid stations. In the first few miles, I happened to run alongside a friend who just completed the Hardrock 100 ultra-marathon in the San Juan Mountains. 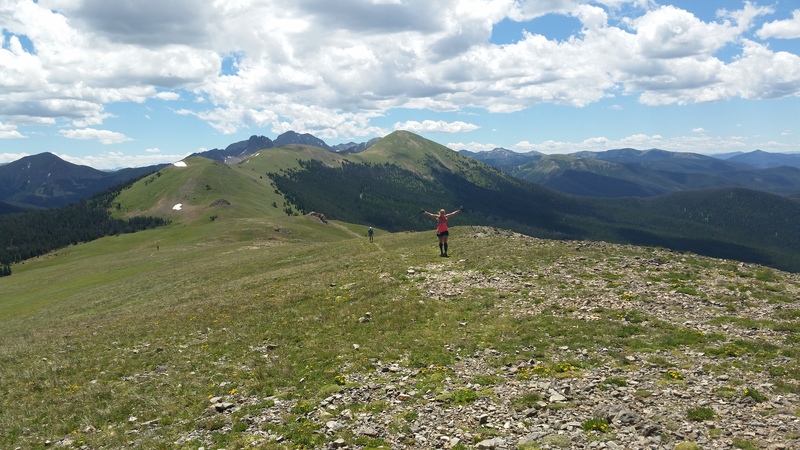 (Colorado’s hardest ultra, and yes, he was running this 100K only two weeks later.) He was nice enough to entertain me in those early miles by telling me all of his stories from that race (Thanks, Alan!) As we hit the first big climb, I let him scoot ahead of me but it didn’t take long to make more friends. It’s amazing how there is so much comradery up there no one feels like a stranger. Swapping stories about our favorite races and mountain runs kept my mind off of the mileage. Besides Alexis, whose background was fairly similar to mine, every other person I spoke with on the trail was a far more experienced ultra runner and had already completed several 100 mile races. When I asked one woman if she had ever run a 100, she said, “Oh, only six!” Another man who was 60 averaged four to six 100-mile ultras a year. Phenomenal athletes, every single one of them. 3) I looked up from my feet. The first thirty miles in particular were spectacularly beautiful. Many times I stopped running not because the trail was too steep or technical but because I wanted to see the mountains. I loved every summit, ridge, and valley. The top of another big climb at mile 14 or so. 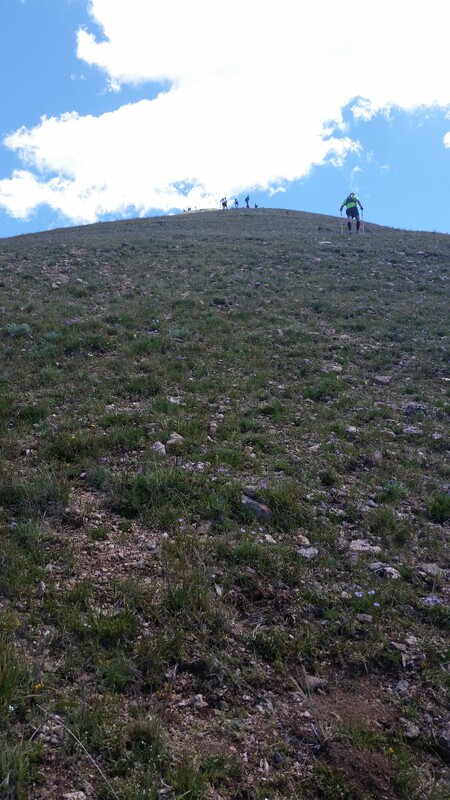 The steepest climb at mile 21. This was my slowest mile. We ran this entire ridge. That’s new friend Alexis behind me. At first the setting sun meant relief from the heat. But it didn’t take long for that relief to turn to more discomfort. The temperature plummeted and creek crossings and mud kept my feet wet. Fortunately, unlike many runners, I packed pants, a jacket, and gloves in my mile 50 drop bag. Otherwise I would have been forced to drop. At mile 50, my husband Nick took over pacing for Renee. Up until that aid station, I had stayed just ahead of my goal time that would bring me to the finish within the cut-off. But when Nick and I set off together, I was 10 minutes behind. There was no way I wasn’t going to finish the race, and I was determined to make up those lost minutes. At that point it was midnight. Even with a nearly full moon and our headlamps, following the pink flagging staked in the ground and tied to tree branches took both of us. By mile 56, I realized I likely wouldn’t have even an extra minute to spare. Adrenaline pushed me up that last big climb, but the terrain at the top was so tough on the other side, we weren’t moving faster even with the benefit of the downhill. The mud was deep and we were often sinking to our shins. One mile took us a full 30 minutes. That’s when I got mad. There’s no way in hell I was going to let stupid mud keep me from finishing in time. 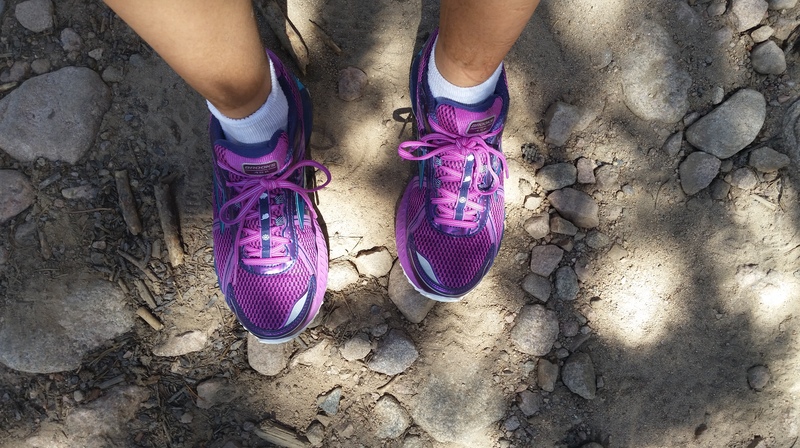 At mile 29, I had changed into brand new running shoes to make my feet a little happier. 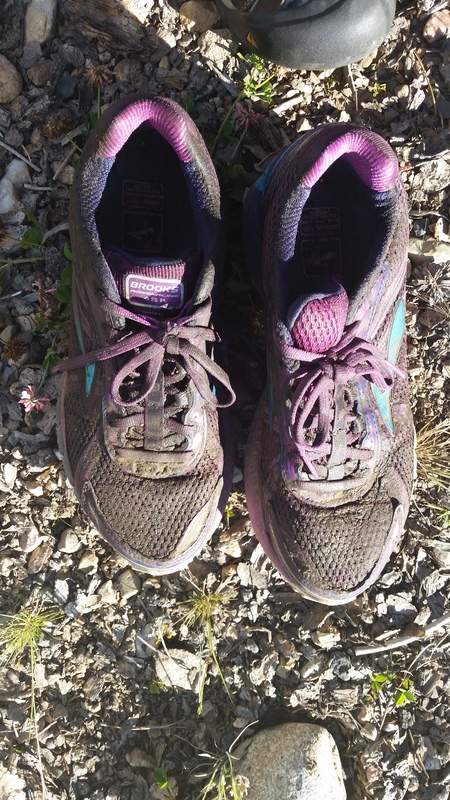 Here’s what they looked like 35 miles later. Nearly trashed. Just as the sun began to lighten the sky on that second morning, I crossed the finish line in a time of 23 hours and 49 minutes. Out of the 200 runners who began the race, 25% had dropped out. I was the final finisher. After almost 24 hours of running and hiking, I had only 11 minutes to spare. And check it out: I made the official race recap! How do I feel about finishing this race last? Proud. So, so proud. You did it! Love you! You are a warrior woman! I’m so inspired by your preparedness and determination, and celebrate with you that final victory. DFL–wooooOOOOO!!!!! I found your blog through the Never Summer website. I’m so inspired by your story and I love your shoes (same one’s I wear 😉 Congrats on your race! I found your blog via the race website, as I was wondering if I could do this. I’ve never done a 100km, in fact I’ve never ran further than 50km. But, this course looks so beautiful and challenging, I’m considering signing up. Thanks for the inspiring write-up and performance! You rock!